Budweiser, America’s Lager, my “go-to” if you will debuted one of their ads during the Superbowl. The average cost of a Superbowl ad spot for a :30 second commercial is 5-5.5 million dollars, their ad was a minutes long making it an estimated 11 million dollar spot. Anheuser-Busch donated about 400k cans of water and my question is.. what is the point of this. As I did more research, I found more PR covering their donations and as what point does this initiative stop being genuine. Where does a brand use its credibility for supporting/donating a good cause? Does this look different to other brands than it does to consumers? At the end of the day they’re pushing a product, not the cause they’re trying to help. I am thrilled to announce that Wendy’s has released their Superbowl commercial and that they did not disappoint. They’ve taken their sass from the Twitter to the TV. We know that Wendy’s isn’t scared when it comes to going after brands they feel are less than. Sometimes Burger King, Arby’s, and lets not forget the rap battle with Wing stop. But that was Twitter, this is broadcast television during the SUPERBOWL. The brand said in a statement, “That’s part of the inspiration to this newest creative—taking the sassiness and charm that fans have come to love on social and translating that voice to TVs all across America”. The 30-second “Iceberg” ad will air during the first quarter of the game. They’ve started some light banter on Twitter, I’m assuming to prepare their fans for whats next. Either way, this is a great commercial, they get their point across, and they take no prisoners. But I cant help but wonder if McDonald’s even needs to be worried? I mean, they are such a heritage brand with sooo much support. I guess we will see. I am looking forward to seeing how this unfolds. As a brand, you need to be so confident in your product and brand to call out, or even mention a competitor on social, let alone broadcast television. … how did they get legal to approve this? Wendy’s knows their audience will support them. This is NOT something all brands can pull off. 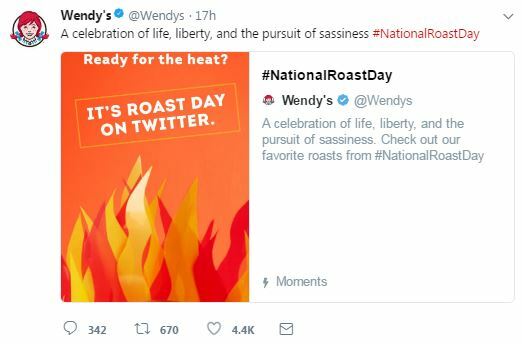 ALSO: Make sure you tune in during the Superbowl..
We’ll Wendy’s held their National Roast Day on Twitter yesterday and it was magic. They are a brand that knows their audience and they got a lot of people involved as well as some verified friends. The engagements they hot on each post to just random people is insane, some north of 30k likes. And if you’re wondering, no, i did not ask to be roasted but its something I’ll regret until next year. One-third of people taking prescription pills like oxycodone don’t even know they’re on opioids. Crazy! A new campaign from the nonprofit health organization National Safety Council, Energy BBDO and m ss ng p eces seeks to raise awareness about, and take action to stop, the drug epidemic sweeping the U.S., by focusing on the 22,000 people who died last year due to prescription opioid overdose. Titled “Stop Everyday Killers,” it features a memorial wall covered in that same number of little pills—22,000 of them—all with tiny faces mechanically carved into them to represent the dead. As part of the roving exhibit, which launched in Chicago last month and is set to travel to places like Pittsburgh, Atlanta, and Washington D.C., a routing machine carves a new face into a pill every 24 minutes, the rate at which prescription opioid overdoses happen. The memorial, called “Prescribed to Death,” includes three rooms sharing such individual stories through videos and personal belongings of the deceased—one focused on Avi and Michael; one on a woman named Felicia and her son Louie, who also died from an overdose; and a third on Rigo, a recovering addict. The campaign also includes efforts to reduce the number of prescription opioids in circulation by offering free “Warn Me” labels that consumers can stick to their insurance and prescription cards asking healthcare providers to discuss the risks of taking opioids and possible alternatives. The NSC is also offering free pre-paid “Seal&Send” envelopes for returning unwanted medications. Both are available via the organization’s website, which also includes many more short video memorials for individuals killed by opioids. Opioid addiction is a huge issue, 1/3 of people on pain medication not knowing their on opioids is crazy! How will the opioid crisis effect healthcare providers? What will this do to the doctors/patient relationship? Four “Bite Size Horror” films (they are all two minutes long) have rolled out so far. The one that’s gotten the most attention is “Floor 9.5,” presented by Skittles, written by Simon Allen and directed by Toby Meakins. (Allen and Meakins previously worked together on the Vimeo staff pick horror shorts Breathe and LOT254.) “Floor 9.5” ran during a Yankees-Indians playoff game on FS1 last week, and judging by the Twitter reactions, it clearly freaked people out. 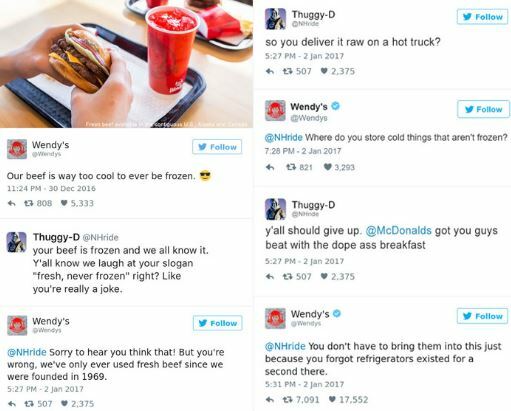 On October 2nd, Wendys and Wingstop got into a rap battle via twitter. This post is someone says “@Wendys why did you get rid of spicy nuggets? I am heartbroken.” This post is ALSO promoted by Burger King. Which if you know anything about social, you know that in order to promote a post on someone else’s page, you need to Whitelist the post. So, this means that Burger King reached out to this person and asked to whitelist their post…. savage. 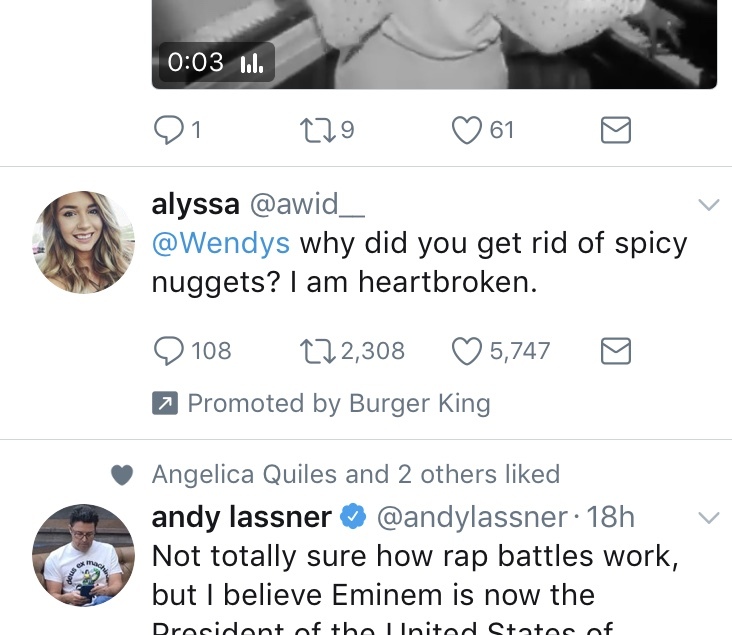 Wendy’s recently got rid of their Spicy Nuggets just as Burger King started promoting their Spicy Nuggets and Burger King is going through great lengths to promote their nugget product. 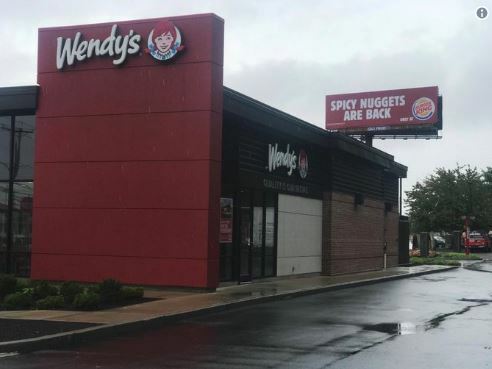 This picture shows a Burger King billboard right by a Wendy’s restaurant, promoting their spicy nuggets. I just think this is a very interesting example of brand vs. brand. Wendy’s has yet to comment, but hold tight, its only been a day. 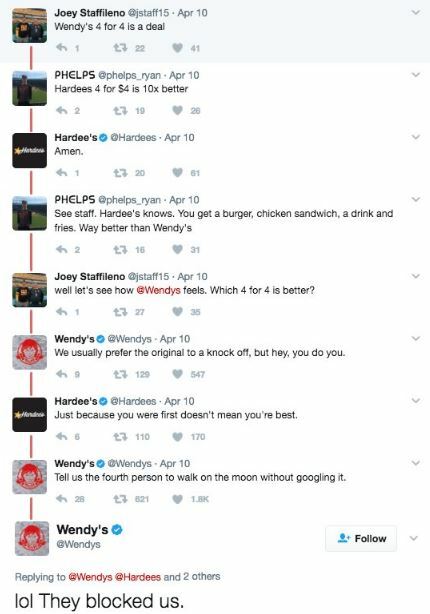 Wendy’s is known for their sass and savagery when it comes to interacting on Twitter with competitors. ALSO — On Oct. 13 from noon until closing time, anyone named Wendy can receive a free ten piece order of the new nuggets — you just have to show up to one of the participating locations in Los Angeles, Miami and New York City with a valid ID. 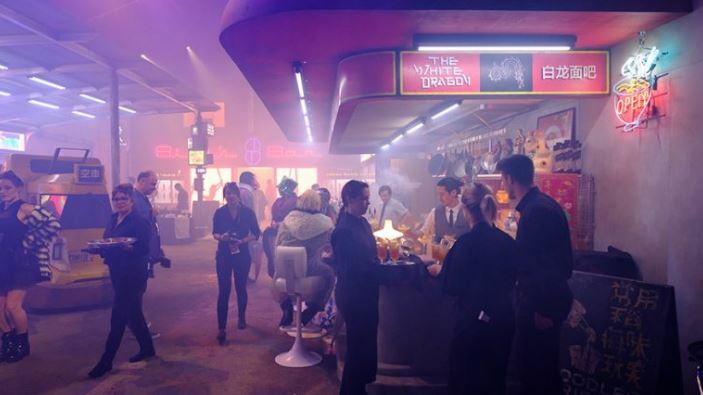 Experiential marketing… you’ve probably never heard of it. Brands are stepping up their marketing efforts and turning advertisements into experiences. 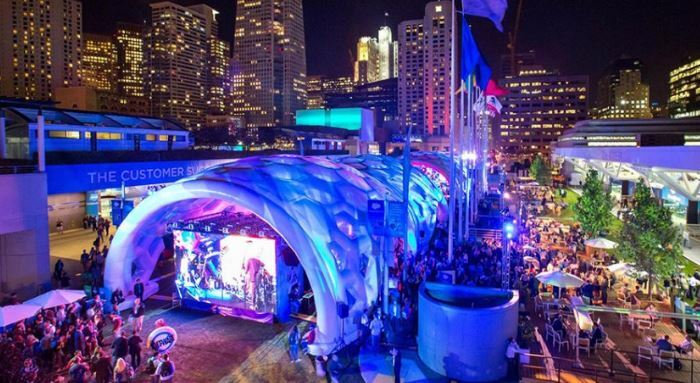 Experiential marketing is like party planning for brands. People aren’t tweeting or sharing pictures on social about billboards, they’re sharing experiences. Having consumers share their experience about your brand is free marketing (minus the event costs obvi). Here are some super cool examples of what some brands have done. This is like UX on steroids .. i think. How will this change a creatives role in an agency? 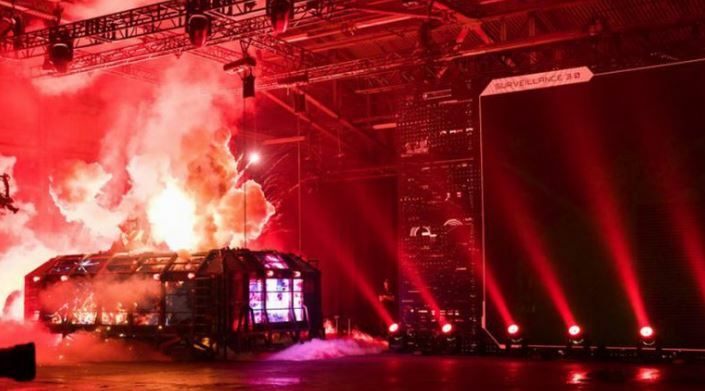 Will there be experiential designers now? Making an event that resonates with your audience need could be the best party of all time, and who doesn’t want a VIP ticket to a super cool event? “Your Time Capsule” gathers tunes from your teens and early twenties, throwing them all together in a personalised, inevitably cheesy trip down memory lane. How does Spotify know how old you are? When you first sign up for Spotify (how long ago was that? ), each user has to fill out their date of birth — “Your Time Capsule” gauges your age from this. Spotify will create a playlist for every user in 60 markets, aged between 16 and 85. For an idea of what to expect for a 29-year-old, my playlist kicks off with Hanson’s “Thinking of You,” an opening Middle of Nowhere jam that I definitely wore out on my Sony Walkman. Then, it careens into Mariah Carey’s “Always Be My Baby,” and Spice Girls fan favourite “Never Give Up on the Good Times.” Then we’re into Usher, Blink 182, Craig David, Mary J. Blige, Yellowcard… yeah, don’t look at me. It’s a strong move from Spotify, whose decade-based “All Out” playlists are some of the platform’s most popular — the 70s, 80s, 90s and 00s playlists have between 1.2 million and 1.7 million followers each. Want to give it a go? 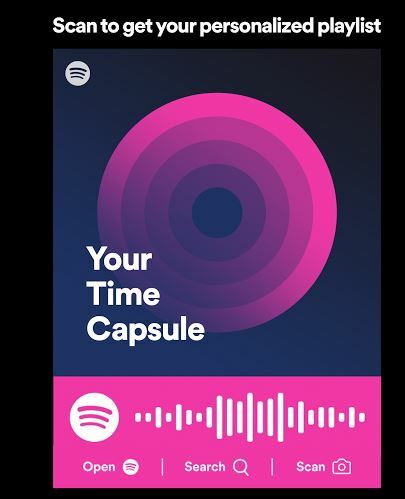 Find “Your Time Capsule” at timecapsule.spotify.com or at the top of Home or in the Decades section of Browse on the Spotify app for iOS or Android. 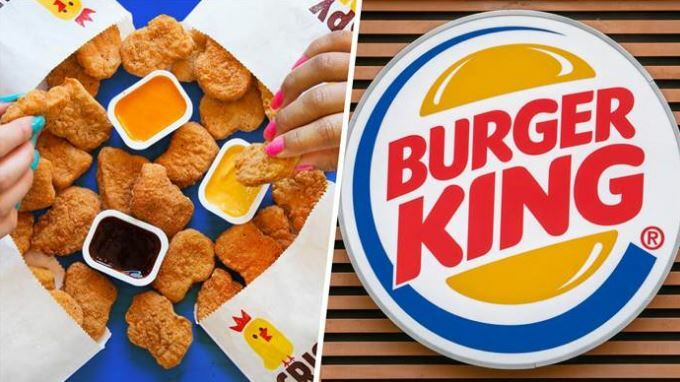 Burger King now has its own bus lane for the opening of their first Burger King restaurant and its picking up customers on its way! Fitbit is partnering with Dexcom to help people with diabetes use a new Ionic smartwatch to monitor glucose levels.The first initiative to come from the deal will bring Dexcom’s data to the upcoming Ionic smartwatch, where glucose levels will be accessible right alongside steps, heart rate, and other stats tracked by the device. This is a really awesome partnership because its different from other glucose monitors. This will encourage users who may just be using this device to track their glucose to also track their steps and daily health. This is different from other glucose monitors because users can view it through the device, not the app. Fitbit has to lay off 6% of their staff not too long ago, and this new innovation theyve see HUGE spikes in stock. 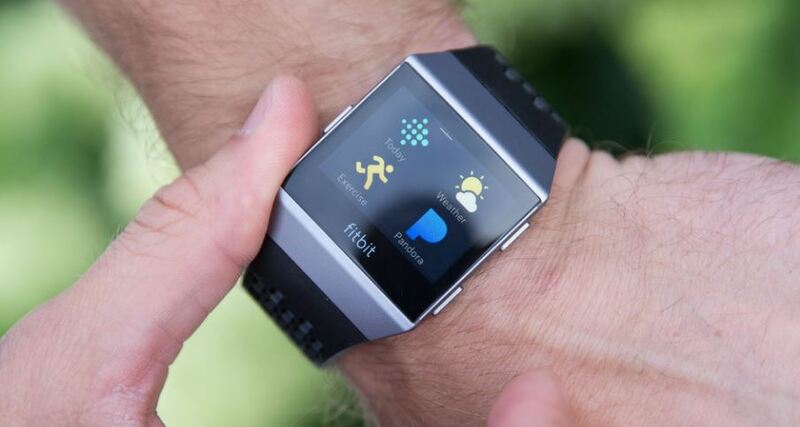 Hopefully this will lead to other awesome health tracking devices down the road. YAY to tracking health! Well thanks to technology we have a hands-free baby stroller to help alleviate some stress from parents. The stroller is electronically engineer to move when the parents moves, keeping the stroller within close proximity. The project was funded in 2016 but has been delayed. Prices range from $399 to $3,199. Well first off … is this safe? This is a great use of technology and design but is there a need for a hands-free stroller? These were ordered by expecting parents. It will be interesting to see where the industry goes with advances like these and expecting parents. Eliminated food waste with tech! Right on! I have two videos to share on this fine Friday morning and their about reducing food waste! The videos explain it all! People are always talking about how technology is “ruining” our social interactions and interfering with out lives, but this is using tech to better the planet. Earlier this year, Amazon started to hire pharmaceutical professionals which is a good indication of their next industry acquisition. Just last month, Amazon bought health food retailer Wholefoods for 13.7 billion dollars. This merger was a surprise for most, but strongly suggests that a pharmacy department could be coming to a Wholefoods near you. Stocks in CVS Health and Walgreens have already started to drop since Amazon purchased Wholefoods in June. One thing that could stand in the way of Amazon’s pharmaceutical takeover is the relationship between patient and pharmacist. Healthcare is intimate and disrupting the personal aspect of the business could be tricky. Amazon would be competing for business in a very established industry and customers want excellent customer service, something that could be a challenge for such a large company. 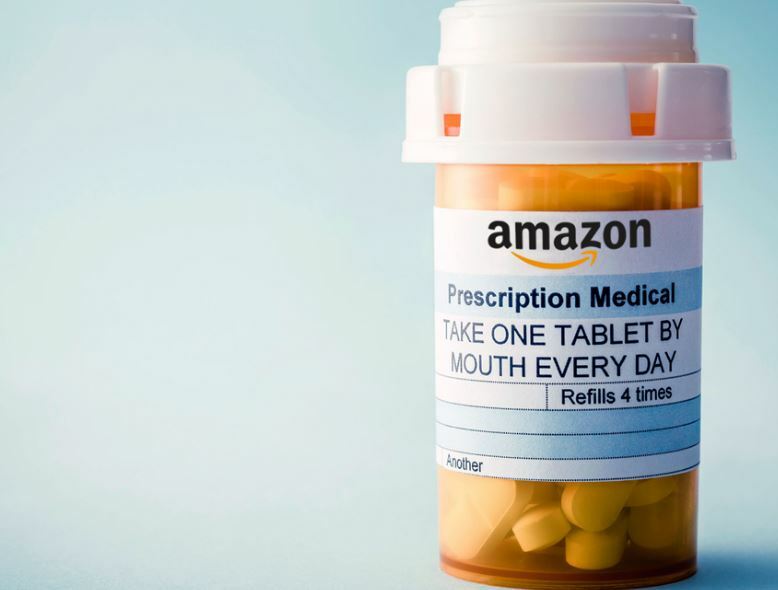 On the other hand, Amazon could help simplify the pharmaceutical industry with a streamlined process, allowing pharmacists to spend more time with their patients. Only time will tell how their plan unfolds. Similar to Cheetos and Pizza Hut, KFC has launched an online merchandise shop packed with limited-edition goods and high-quality fried chicken apparel. The items can be browsed on their microsite. The list of items include apparel, home decor, accessories, and jewelry. 2. Have an out of this world experience and buy a custom made meteorite designed after a chicken sandwich for $20k, I need it, do you? 3. Wake up next to the one you love… everyday. 4. Show your feet some love with these delicious chicken fried socks. 5. Show the ladies (or gents) a great time out on the town with this tux tshirt, because nothing says classy quite like a graphic tee. So far HALF of the site is sold out! Its amazing. I don’t know if I would call this merchandise launch an innovative tactic because it has been done in the past, but its proven its success meaning they understand their audience. Do you think Panera Bread is going to release a merch line soon, probably not. But just like Cheetos and Pizza Hut, their audience crave this type of campaign. The brand is also planning to partner with other apparel and lifestyle brands to create other limited-edition offerings, available only within its store. KFC has been around for 70 years and their advertising the product as such. The product line has a primarily vintage feel. Its just super cool and an exciting way for brands to connect with their audience. Game of Thrones comes back in 9 days. N-I-N-E days. (exciting stuff) And in prep for this exciting season of heart break and snow zombies, they’ve turned to Facebook Messenger and made a chatbot. The chatbot knows so many things about the show but pulls all of the information from the internet, which makes it annoying. This is me hanging with the chatbot. 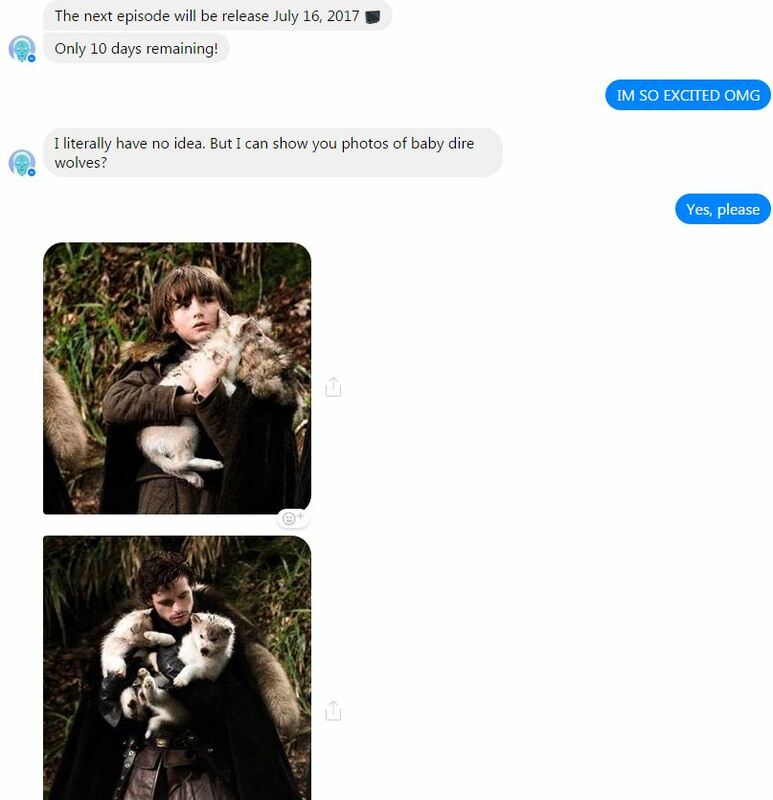 GoTBot was populated with queries from common Google searches related to Game of Thrones, but it’s also learning through its own AI, handled by Wit.ai. The more information it gathers, the better it comes to understand user intent. Its core is supported by a node.js and MongoDB server, with Google Cloud thrown in for spell checking and analytics. Check it out, experience it for yourself, get pumped, Winter is here. Experience the GOTbot for yourself here. 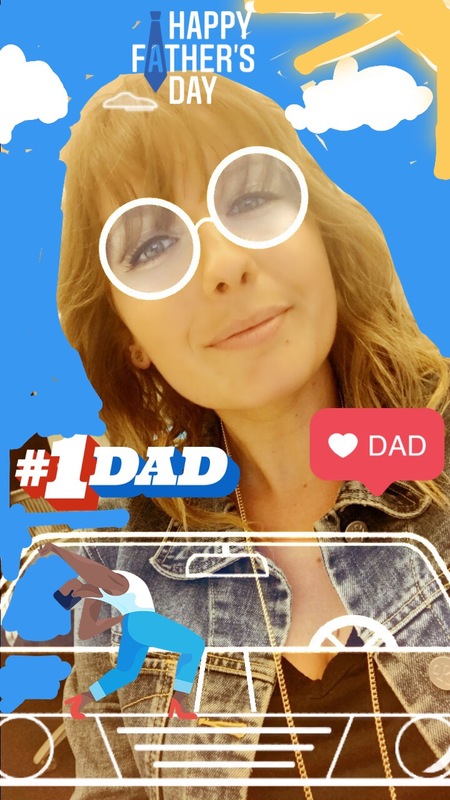 Instagram has added lenses and father’s day stickers, similar to Snapchat. The new lenses include a road trip filter, old man filter, dog filter (cough cough Snapchat rip off), a bear filter, sleepy time filter, and rainbow filter. Most filter are animated and bring the 2D lenses to life. This is me as a dad, driving through my hood. The update is available now! So hope on Instagram stories and take these new features for a test drive. Its only a matter if time before they start offering sponsored filters/lenses to brands. It’s pretty crazy how much Instagram stories copies features from Snapchat but no one really cares because Instagram stories is doing so much better. Brands are going to be where their fan base is and a majority of brands have grown their following on Instagram. It will be interesting to see where Instagram takes this with brands. Delta Airlines is partnering with Tinder to make dating app dreams come true with their #DeltaDatingWall. So Facebook is developing a way for users to type and create posts with their mind. Not even your mind is safe anymore, Facebook wants it. Stanford University researchers have already created a system that allows paralyzed patients type eight words per minute using only thought, although that is achieved via an invasive implanted electrode array. 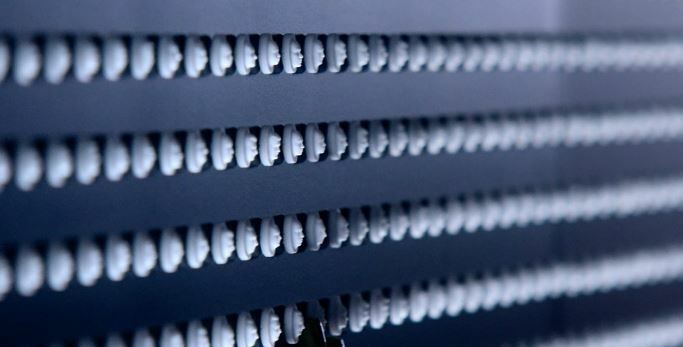 Building 8’s provisions, it is claimed, will be entirely non-invasive, and optimize human function, for instance allowing people to type faster than they would physically, up to as much as 100 words per minute or more. Even though this is decades away from being streamlined and super available there has been huge backlash from people in regards to ethical, legal, and social implications. It’s been reported that this type of technology may start out in the form of smart clothes, where smart clothes transit data.. instead of your mind. Aside from Facebook, only one other person is developing this type of technology. Elon Musk is creating his own brain-computer interface with a new venture called Neuralink. When this technology becomes accessible, it will change everything. Who knows how many other companies will have developed similar device/tech. Wendy’s, servin’ up sass since 1969. 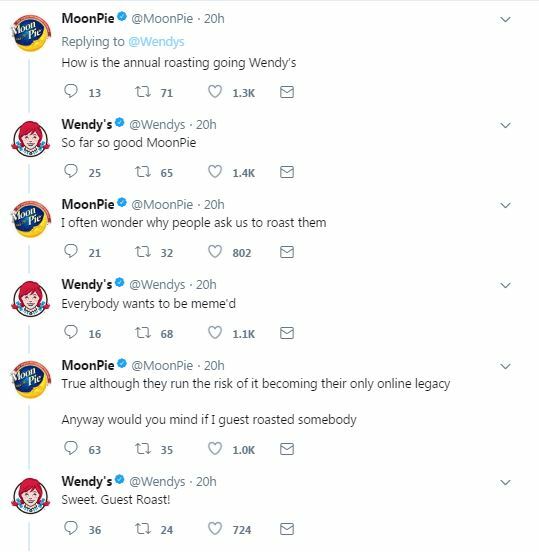 Wendy’s is super funny on Twitter. Their content is very streamlined and brand conscious but their 1:1 engagement is not. 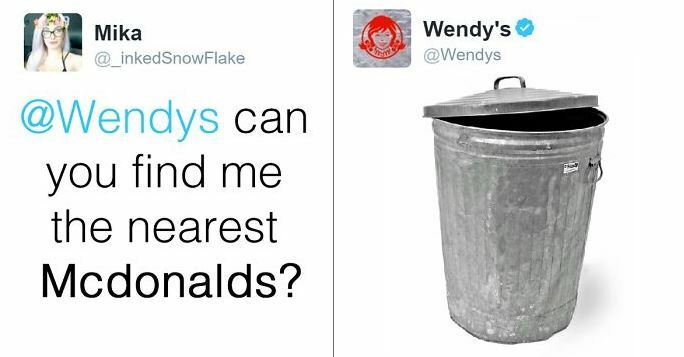 A while ago Wendy’s was roasting everyone. But a few days ago they going into a tiff with Hardees. 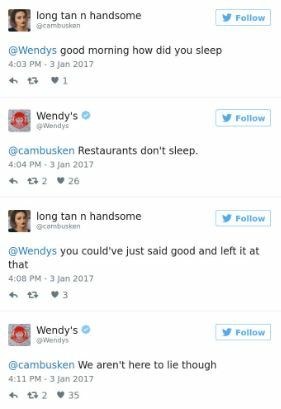 Wendy’s engaging with their fans is one thing, but now they’re sassing a HUGE food chain. As social strategists its important to know when to engage and whether or not it makes sense for your brand. 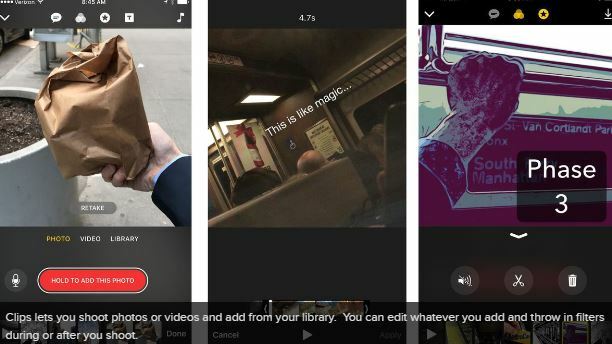 New video editing app is similar to Snapchat and Instagram stories but allows the user to experience with creativity. Filters, stickers, you name it, this app does it. Tools, like Apple’s iMovie (the free version that runs on iOS) that offer richer tools and more permeance are inscrutable and lack the sense of fun promised by Instagram and Facebook Stories. Whatever you create might look good but will lack that sense of fun and shareability. Apple’s new video-creation and sharing platform, Clips, is the near-perfect middle ground. It’s not a social platform or a full-scale video editing platform, though it shares some of the best attributes of both. Clips — which is free, only on iOS, and available now in the AppStore — lets you create square videos of almost any length using new and existing clips and videos. It offers impressive power but in a simple, drag-and-drop package. We’ve all seen Facebook political rants and now Facebook is giving you an outlet to take it to the next level. Enter your location and Facebook will prompt you to follow or message your local rep and Facebook is calling it “Townhall”. Facebook lets you call, message, email and go to the Facebook Page of each representative listed. Messages are sent through Facebook Messenger. Facebook officially released a tool Monday that lets its users — all desktop and mobile users in the U.S. — easily contact their local officials. Facebook is giving people the opportunity to get involved in something they play a big role in. Allows young people to get involved. This could be the beginning of a larger effort for Facebook to be more involved in politics. 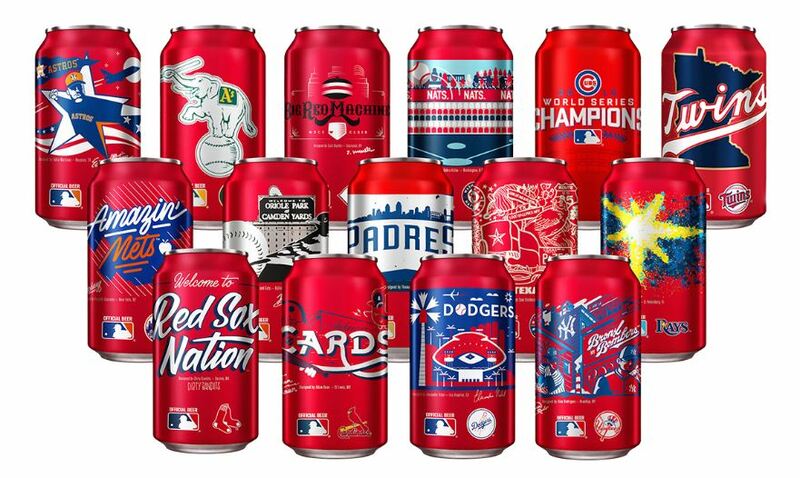 Budweiser teamed up with locals artists to create MLB custom designed cans per team and its awesome! 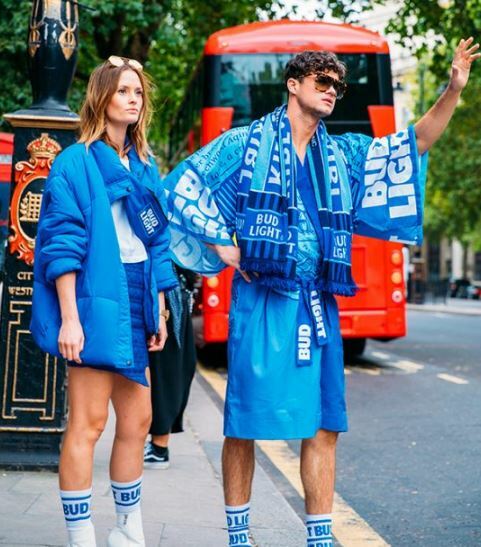 Budweiser has done similar things to keep their consumers loyal and attract new ones, such as the America cans launched last summer, but this definitely more of a commitment as far as production. Budlight partnered with the NFL to slightly customize their bottles that reference certain NFL teams, another great example of understanding your market and who is drinking your product. Budweiser has been really successful in advertising to their consumer. Their 2015 Superbowl commercial “Brewed the hard way” made statements like “proud marco beer”, “not brewed to be fussed over”, “the people who drink our beer are people who like to drink beer”. The cans will be available on March 27, just before opening day, in Baltimore, Boston, Chicago, Cincinnati, Dallas, Houston, Los Angeles, Minneapolis, New York, Oakland, San Diego, St. Louis, Tampa Bay and Washington, D.C.
Great example of a brand understanding their audience and connecting with them. Budweiser’s messaging is consistent and never forced. The cans aren’t available until the 27th and people are already posting about it on social. See the large batch of earth like planets through virtual reality! So! Nasa found 7 new earth like planets 40 light years away and is letting you experience it through virtual reality! The below depiction is based on the latest scientific data about this planetary system, and this world’s sister planets can be seen as bright points of light in a dark sky. Each world is roughly in Earth’s size range, in terms of both mass and diameter. Further observations will be needed to determine whether any or all of these worlds might be habitable. Trappist- 1D is the star like planet similar to the sun. This has gone viral on social but is gaining traction on multiple channels. Virtual reality is increasing in popularity and although it isn’t a new trend, this video was sent to me by people who don’t care about space (like i do). Nasa isn’t a brand trying to sell a product. They created this for people to have an experience for something that is larger than us. Instagram is testing a new feature that allows you to share multiple photos and/or videos in a single post. The feature, which is currently live in the beta version of Instagram’s Android app, allows you to select up to 10 photos and videos to combine into a single post. It’s not clear what the final post would look like in the app’s feed, as the beta doesn’t allow you to actually share such a post, but presumably it would look like the app’s “carousel” ads that allow you to swipe through multiple photos. To select multiple photos, all you have to do is hold down on a photo. It’ll give you the option to select additional photos or videos to include from there. Here’s what it looks like in action. This will change the way users and brands utilize the platform. Instagram is about highlighting one curated photo, not multiple. Although this allows for more creativity, it also takes away from what makes Instagram so unique. I look forward to what the albums will look like in feed since its not finalized. Facebook now offers live streaming feature in its iOS app. The social network is expanding its live streaming capabilities to all of its iOS users in the U.S. The company first began experimenting with live video last year but Thursday’s update marks the first time Facebook has made the feature widely available. The new feature, which Facebook is calling “Live,” now appears in the “update status” menu next to the check-in pin that allows you to share your location. 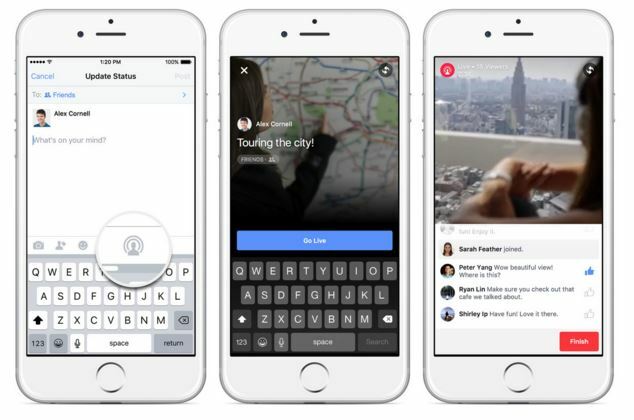 Live videos on Facebook work similarly to Periscope broadcasts: you can begin a live stream with a brief description, and once you’re live, viewers can comment on streams in real time. When you’re finished, you have the option to save the video and share it on your timeline. You can also subscribe to a person or Page’s live videos so you can get a notification each time they start a new broadcast. The company first began experimenting with live video in August, but the feature was limited to to people who use Mentions, Facebook’s app for celebrities and other public figures. The company added support for virtual reality videos to its Android application Thursday and announced that any YouTube video can now be viewed with the company’s Cardboard virtual reality headset. The changes are only for YouTube’s Android app for now, but iOS will follow. I find it interested that Android is the first to have this app available. 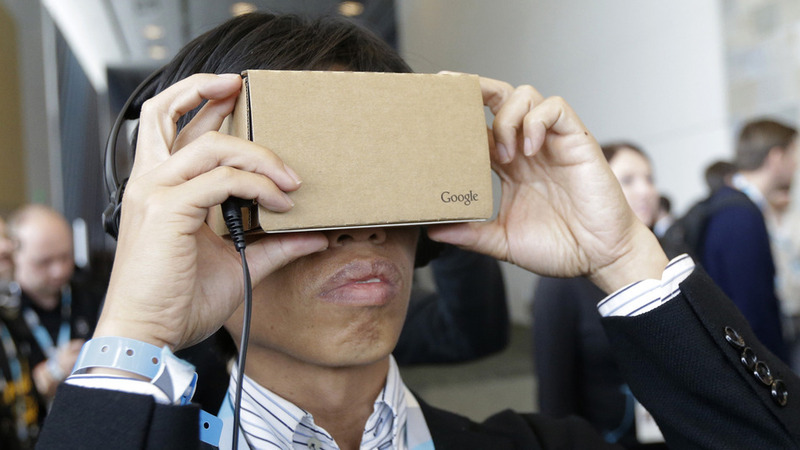 Google introduced Jump, a new camera that enables people to create virtual reality videos with GoPro cameras. This is already a cool concept and now users will be able to create these images which we can imagine will expand to other platforms. Burberry is giving fans behind-the-scenes access to it’s spring 2016 campaign photoshoot via Snapchat — a first for the fashion industry. 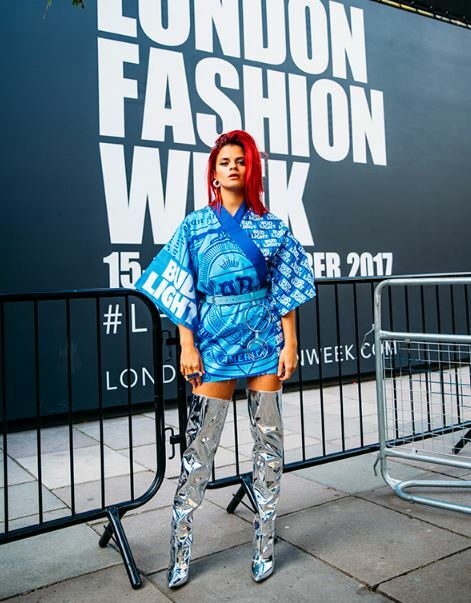 The fashion industry is letting consumers interact more with the brand using social media and its changing the industry for the better. This is a huge step for both social and fashion. I just read an article in Vogue that stated that social media is changing the fashion industry to be more inclusive of their consumers and making fashion more accessible.